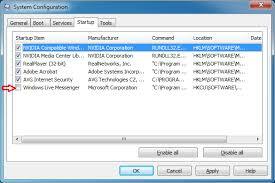 Start – Run or Search bar – type “msconfig” (no quotes) and press Enter. Click on the Startup tab and uncheck all processes except for the Antivirus process. which is not related to microsoft (“please make sure you donot uncheck any microsoft services”). In the Run command or search bar type “%temp%” and later “temp” deleting every temporal file you find in those folders. Update your antivirus regularly and do not forget to perform a complete system scan. This entry was posted in Slow Login Issues. This content is very useful. It is one of the main problems handled by IT Support teams in many companies. thank you swathi, please describe as what is the issue or error you are getting while opening Command Prompt.